The company for whom this site was developed had no web presence and was losing business to a company who’d created an imposter site and the challenge was to create an official web presence on a low budget—and quickly. We customized a WordPress template and put together a very simple one-page site that lists the company’s services, provides their contact information and is optimized for search engines. 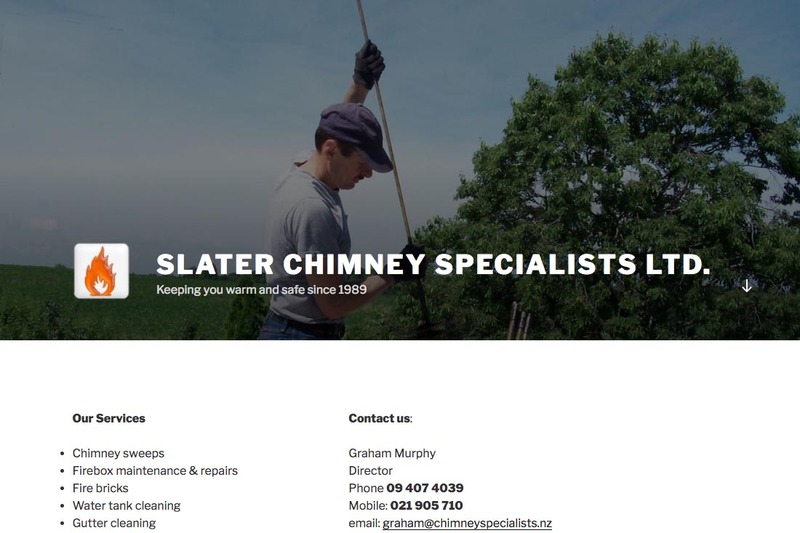 People searching for a chimney cleaner in the Bay of Islands or for gutter cleaning in the Bay of Islands (NZ) now find the client’s company at the top of search results and his business bounced back quickly.